Sully spends time with H.W. George H.W. Bush’s service dog spent a moment with the 41st president’s casket on Sunday night, ahead of a week filled with memorial services. Bush’s longtime spokesman, Jim McGrath, tweeted a photo the service dog, Sully, laying in front of the casket. The caption read, “Mission complete.” Read more here. Hootie and the Blowfish on Monday announced a comeback, complete with new music and a 2019 tour. The band made the announcement during an appearance on "Today." The comeback tour includes a stop at Blossom Music Center on July 26. Learn more here. We have a birthday girl today! Join us in celebrating Hollie Strano's birthday! 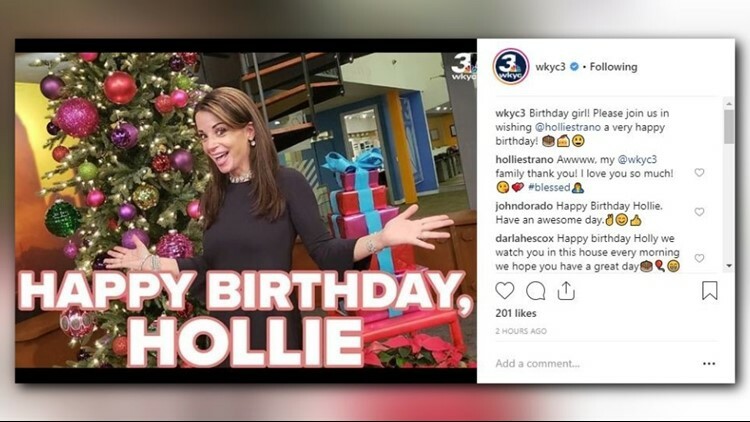 You can wish her happy birthday on her Instagram page: @holliestrano. She even got a special message from Al Roker! Our pal @alroker had this special birthday message for @holliestrano this morning! We checked out the hottest toy of the holiday season. LOL Surprise dolls are all the rage and our own Dave Chudowsky and his family are the experts on these fun toys.